On this warm autumn we welcomed a big film Production from Kannada Cinema Industry. Popularly known as Mega Powerstar of KFI, Vinay is the third generation actor from Rajkumar family. From his very first movie, Vinay has won the hearts of Kannada audiences. Siddhartha was a massive hit at the box office which completed 50 days at the theatres in Bangalore. 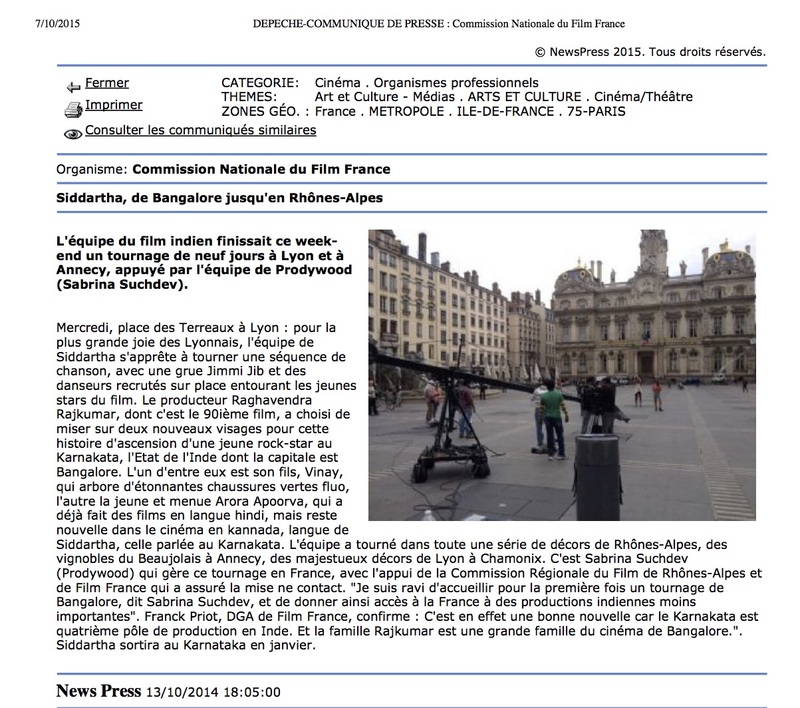 Its the first Kannada film shot in France, which we took place in the mountains of Chamonix : the Mont Blanc, also in a golden stoned village in the Beaujolais vineyards, around the Annecy Lake and in the city of Lyon. (Line production in Rhone-Alps region).